When i saw this thread i decided to help these guys out. This is a must have if you want to connect the walls between lots. * All have 2 recolors, front and back while the top is part of the front recolour. If you rotate the walls the top will no longer match the color/pattern from outside/front wall, the reason that there is a left and right side. * All are stackable with or without the use of floortiles. * They can interact with other walls/fences/objects/stairs etc. The basegame wall has a setup that hasn't been cracked yet so there are a few diffrences. -You can not use wallpaper on these, you need to use the patterns. -The basegame wall will leave a tiny gap when placing next to it, so you best start placing them one tile before the basegame wall ends. -There is a bit brightness diffence, fix it with darken/lighten your pattern/color. - i made correct pathing footprints for the walls but they gave me strange results. 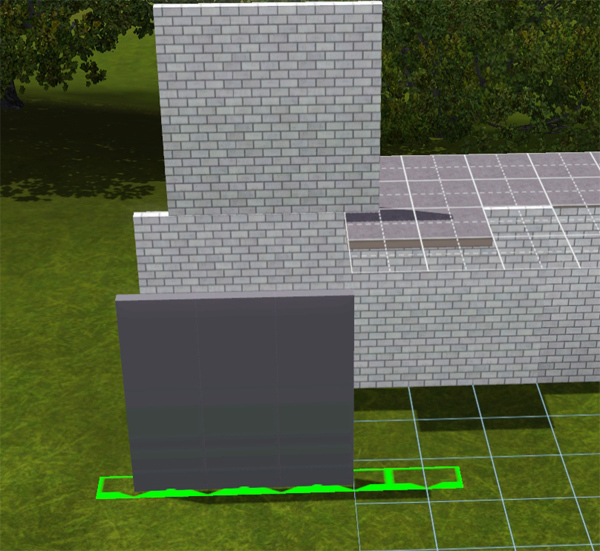 While the right side walls work ok sims keep walking through the left ones, especially on the 1 tile version. No idea how to fix this, use the 3 tile walls if you can. -No need to say that you need to line up your lots properly to make the walls fit, do i? -You can not place windows or doors in the walls. 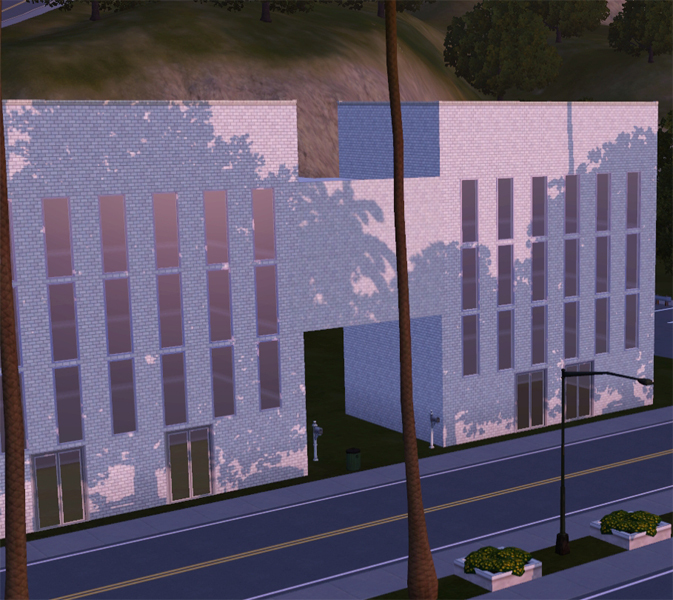 -Your game can freeze up for a second, sims tend to have problems with finding the correct route! !